Being Spiritual: What This Means, and Does Religion Matter? What does it mean to be "spiritual"? For some, spirituality is at best a nebulous concept that's preferred by those who cannot accept the potential of science to one day explain everything, but for others, is at the core of what it means to be human. 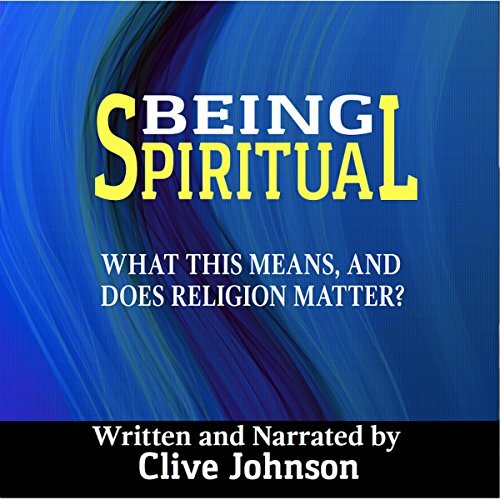 Taking a broad perspective, this thought-provoking book questions what being spiritual means for different people, explores the many different ways by which spirituality is expressed (unrestricted to the demands of having a religious faith), and considers ways to enjoy a so-called "spiritual experience". Attention is also given to the relevance of several important themes to understanding spirituality, and to which virtually everyone should be able to relate - topics such as life purpose, mortality, love, and beauty. Crucially, the book examines the "spiritual but not religious" phenomenon, asking whether it's necessary or desirable to hold onto a religious faith or a belief in a higher power in order to achieve spiritual growth and potential. Drawing on the thinking of sociologists, psychologists, historians, theologians, social commentators, and more, the potential attractions and risks of a "do-it-myself" approach to spirituality are weighed against the possible pitfalls and promises of following a more traditional path. Ultimately, the book opens up questions that are relevant for all, offering food for thought to both guide and inspire those who are curious about, embarking upon, or wanting to deepen an exploration of their spiritual life - whatever they perceive this to be. This work is insightful and sincere. When I listen to it, I get the feeling that I'm hearing the words of some who truly cares more about spirituality and morality than he does about money. This man is truly inspired, the kind of person who would take the long steep road even if it meant turning down money. This was a great listen and helpful with the meaning and understanding of spirituality. Great explinations.